There are so many unique activities to do and places to visit while vacationing on the Big Island. The island boasts pristine beaches, rain forests, lava-spewing volcanoes and of course bees? Yes, bees! If you are looking to step outside of the box while visiting, why not participate in a beekeeping tour -Hawaii style? Hawaiian tours are remarkable and unforgettable. Big Island Bees is a local beekeeping family who produces organic honey from Hawaiian blossoms. Their honey is produced from the Lehua blossom, Macadamia Nut blossom and the Wilelaiki blossom, each providing a unique and distinctive taste like no other honey. These Hawaiian blossoms allow for an completely different honey experience than you are probably used to. Located in Captain Cook, Hawaii, Big Island Bees offers a free, fun and educational tour. 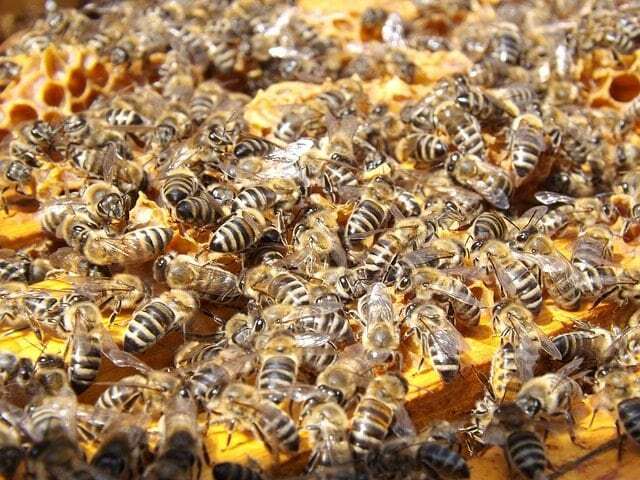 You will get to explore actual hives and learn where the queen lives, the organization of the hive and what makes honey bees so special. Learn about pollination and what that means for us as human beings. Of course this exploration into the life of beekeeping is done safely in a screened viewing area. A beekeeping tour in Hawaii is a tour like no other. Then, it’s on to the museum and tasting room. The museum is dedicated to the world of bees and all things beekeeping. Check out tools and pictures about the history of beekeeping and honey production. While visiting the tasting room, you will have the opportunity to taste their amazing, sweet, organic honey varietals. Choose your favorite. When you have finished exploring, shop for your favorite honey to take home with you. They also have excellent gift sets and body care products to choose from all made with their honey. Tours can be scheduled Monday-Saturday between 10am and 1 pm. Museum and tasting room hours are Monday-Friday 10am-4pm and Saturday 10am-2pm.